The Tamil National Alliance (TNA) could tip the balance should parliament be recalled this week to decide between two rivals both claiming the lawful right to head Sri Lanka's government. 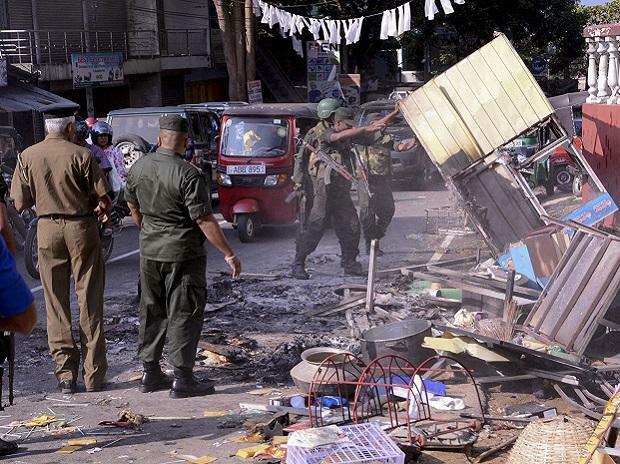 Sri Lanka has been gripped by constitutional turmoil since President Maithripala Sirisena sacked his former ally, prime minister Ranil Wickremesinghe, and his cabinet on October 26. Wickremesinghe's party risks losing legislators to Rajapakse's camp as the days drag by. Some members of his party have already alleged they were offered portfolios and huge amounts of money to switch allegiances. Six MPs have already switched sides and been granted portfolios under Rajapakse's new administration. The Sunday Times of Colombo newspaper described the sacking of the prime minister as "sheer political expediency" and outside the law. The state-run Sunday Observer, now controlled by Rajapakse-loyalists, defended the change of government but acknowledged the crisis should be resolved. According to latest counts, Wickremesinghe has 103 MPs from the 225-seat assembly while Rajapakse and Sirisena have 101. Most of the remaining 21 MPs -- including the TNA -- are set to oppose Rajapakse, observers said.